THE BERKSHIRES, Mass., U.S. — JavaUp, the first coffee-fueled snacks to contain 100 percent organic, shade grown espresso, has announced its expansion in 7-Eleven stores in the Philadelphia, New Jersey and New York areas. As the first coffee fueled snack company, JavaUp offers two flavors: Café Mocha and Caramel Macchiato. Chocolate-dipped and coffee-fueled, each 1.4-ounce bar provides consumers the equivalent caffeine of half a cup of coffee in a delicious, satisfying, no-spill format. The bars are 160 calories and certified kosher; Café Mocha contains six grams of protein and five grams of fiber, while Caramel Macchiato has five grams of protein and four grams of fiber. Both contain 8g of whole grains. The SRP is $1.99. 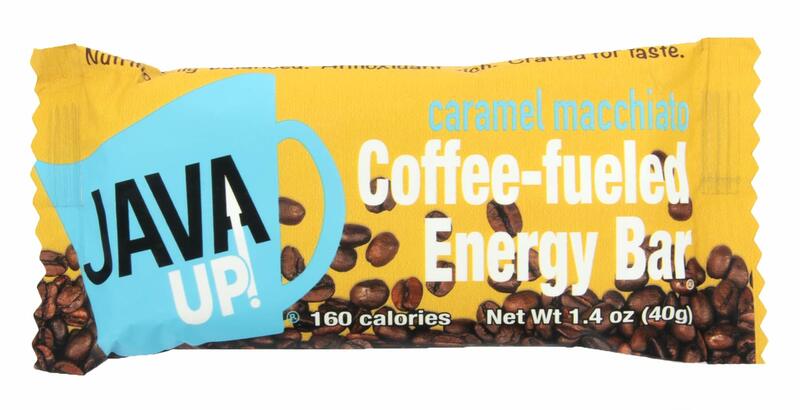 “JavaUp provides an anytime, convenient, on-the-go way to get your coffee ‘fix’ in a delicious nutritious bar,” says Lisa Newmann, founder and CEO of JavaUp. Made for consumers who believe in the power of real coffee, sustainably farmed, JavaUp’s beans are sourced from farms that value fair wages and labor practices, use no pesticides, and rely on natural fertilization from migrating birds. The beans are grown in the shade, creating sustainable habitats for pollination. In addition to JavaUp’s great taste and convenience, its coffee is a rich source of disease-fighting antioxidants; studies have shown that organic coffee may reduce cavities, boost athletic performance, improve moods and stop headaches.